Barafundle Bay is one of the best beaches in Pembrokeshire and is regularly voted one of the best in Wales and even UK. It really is beautiful and a visit to Barafundle Bay will leave you wanting to come back again and again. Barafundle Bay is beautiful! Remote, sandy, with lovely green/turquoise water (when the sun is out). This curved, sandy beach is one of South Pembrokeshire's finest beaches. The beach is nearby to Stackpole Quay and is part of the Stackpole Estate, managed by The National Trust. Facing eastwards to the ocean, Barafundle Bay is surrounded on the north and south ends with steep cliffs. Looking down onto the beach from either end offers spectacular views. 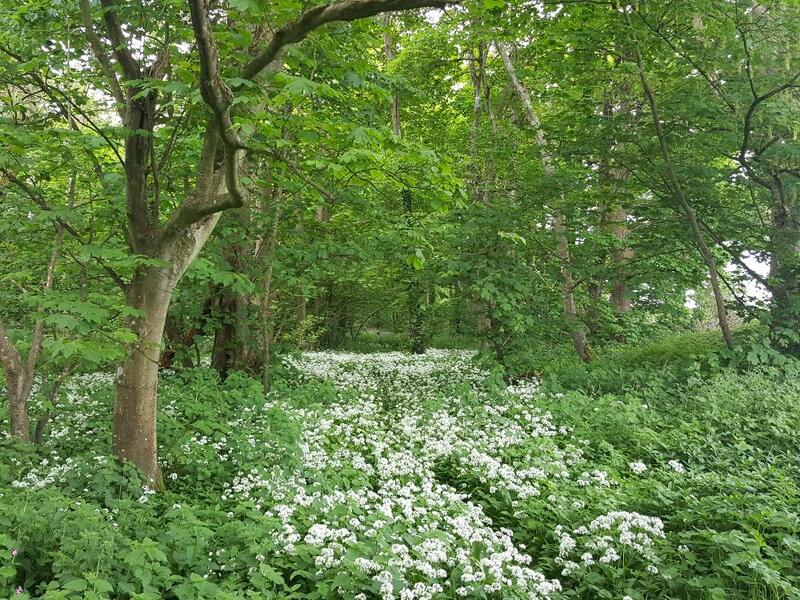 The beach has fine sand dunes behind it, perfect for kids to play in and explore, plus remnants of forest further behind the sand dunes, which come alive in the spring with hundreds of wild garlic plants and bluebells. Believe it or not, this beach is in Wales, UK! It's not actually possible to get close to the beach by car, you need to walk the 1.5km walk from Stackpole Quay, along the coast path, to some steep steps down to the beach. This is its whole attraction of course although in the summer months don't think this walk puts people off going there! Due to its allure, fine sand and clean water, Barafundle Bay is a popular place. One other alternative route if you fancy a hike or run before your swim, is to park at Bosherston or Broadhaven South car parks and hike/run from there, distance will be about 5km each way. It's a steep climb from the beach back to the car! This route is a simple circular loop of the bay. Barafundle Bay is not very long, so one 'lap' comes to about 800m-1km. The water is normally very clear in the spring/summer months although does get quite deep quite quickly. There are interesting rocks and caves on either end if you are feeling adventurous, as well as kelp gardens on the Northern edge of the bay that are nurseries for Mud Sharks (dogfish) in the Spring months. Barafundle Bay is quite well protected from the oncoming ocean swells so with this in mind it is a great bay for beginners. This route is for more advanced swimmers as the distance is further and the swell can get pretty big out in the open ocean once you leave the safety and calm water of the bay. 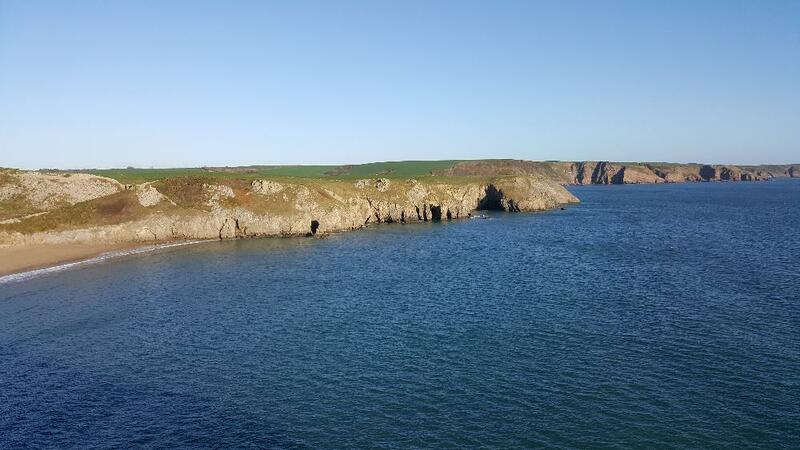 The swim will start at Stackpole Quay and go to Barafundle Bay, doing the loop of the bay route above, then from there we will head onwards towards Stack Rocks, exploring numerous sea caves and swim throughs. In the summer months the visibility here is usually great, which means there is a lot to see underwater, so is great for spotting wildlife such as barrel jellies and dogfish, sometimes seals and dolphins. The headlands on this route offer some interesting nooks and crannies to explore and get cool photos and video footage; and the cafe at the end offers great coffee and cake! 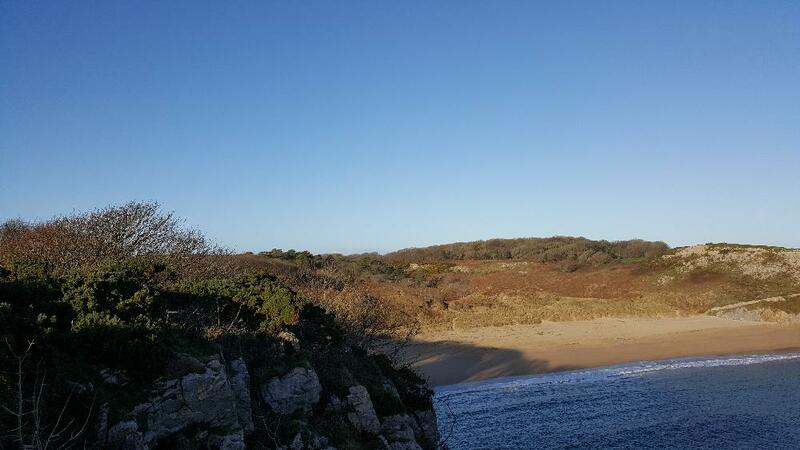 We recommend using a safety kayak on the Barafundle to Stackpole route and this route may be subject to change if weather conditions are not suitable. 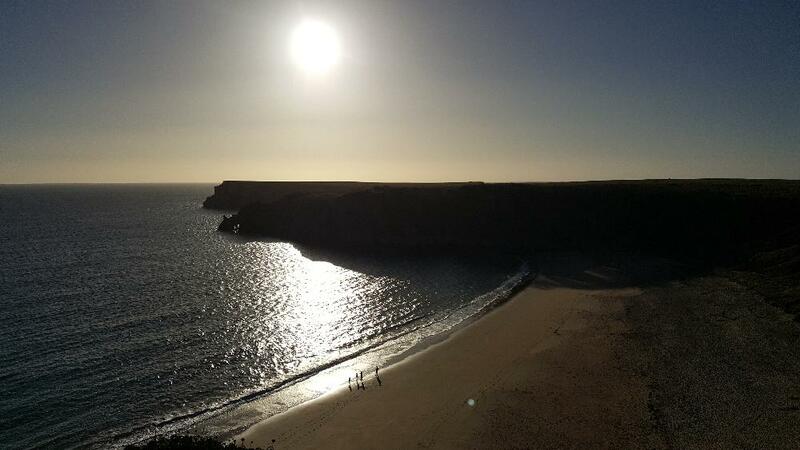 Barafundle Bay is a minimum 1.5km walk from the nearest car park, so a good kit bag or back pack is essential to carry all of your gear, dry and wet! There are no facilites on the beach, so bring any water/snacks/flasks of hot tea that you may need. And you will need to carry any food/drink/water with you and be prepared to be exposed if the weather changes. Barrel Jellyfish are abundant in the spring months. Seals and porpoises have been seen in this area. The nearest parking is 1.5km away. The beach is NOT accessible by car and there are no paved walkways to or from the beach. 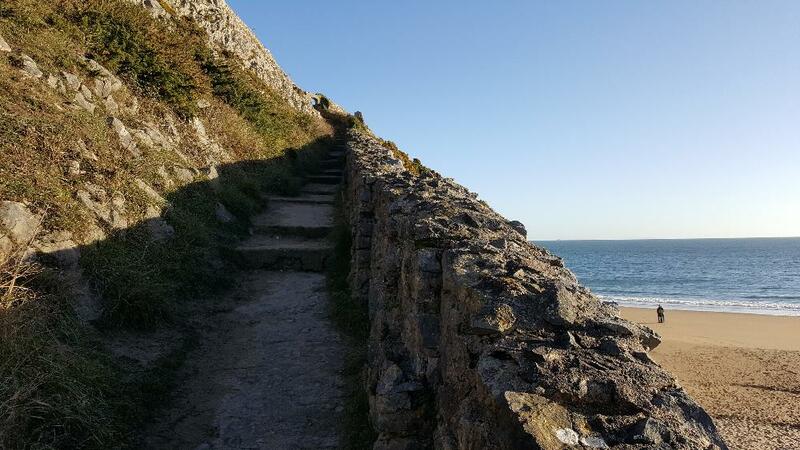 Access from the coast path to the beach is via a steep set of stone steps. There is a £5 National Trust carp park fee but this will allow you to park at several other venues in the area. There are no 'changing rooms' so sea swimmers will need to get changed by their cars or on the beach and carry their gear to and from the bay. 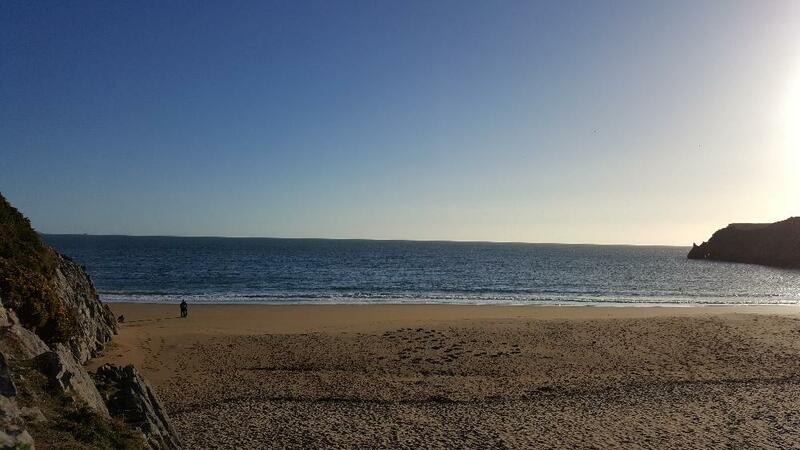 There are no shops at the beach but there is a small cafe open in the spring and summer months in the Stackpole Quay car park as well as a pub serving hot food. There are no public toilets at the beach but there are toilets at the car park so please go before you start the walk to the beach! This beach is dog friendly year round - please, please, PLEASE clean up after your dog and take the poo bags back to the car park - there are no poo bins on the beach. Click here to see a list of sea swimming equipment you could consider brining for this swim. Barafundle is remote, so in addition to the sea swimming gear, you will need to carry your equipment in a decent bag or backpack. You will also need a stout pair of shoes or trainers. Click here to learn more about the local wildlife you might see. Click here to book one of Barafundle Bay sea swims.